Toddlers learn their A-B-C’s through songs and books. One of the most popular songs taught in preschool or at home is the Alphabet Song. 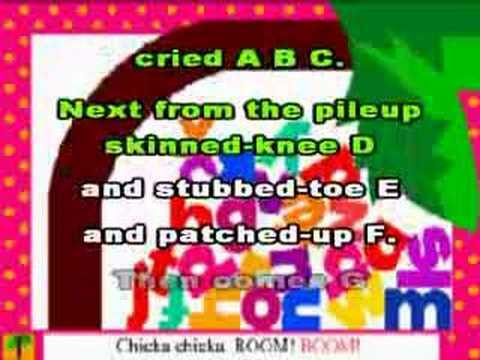 A popular baby book for learning the A-B-C’s is “Chicka Chicka Boom Boom” by Bill Martin, Jr., and John Archambault. Reading and especially singing the A-B-C’s makes the letters of the alphabet familiar to baby through playful repetition. The playfulness packages the learning as fun. Think of singing as playful speech development. When parents sing the song to baby often, the child begins to learn the sequence of letters: “A, B, C, D, E, F, G, …” The more familiar the child is with the song the easier the learning may be. Babies enjoy listening to the Alphabet Song and would enjoy reading “Chicka Chicka Boom Boom.” Add this book to baby’s first library and learn the song in the above video. Many parents remember the tale from their childhood with a smile on their face. The fun and energetic rhyme of alphabet letters climbing over each other to get to the top of the coconut tree is recanted through song in the above video from icnelly’s youtubc channel. We love this version of the rhyme because parents can learn it and sing it to baby. With its lullabye-like quality baby will enjoy it and soon will learn her A-B-C’s. Books for babies such as “Chicka Chicka Boom Boom” make an entertaining break during a motor skill play session and are useful for wind-down time prior to a nap. A carefully chosen set of baby books makes a wonderful addition to your nursery. Part of the motor skills learned during baby’s first year include holding, opening, closing, turning pages, and pointing to pictures in a book. These fine motor skills develop the small muscles in the fingers and eyes. Hand-eye coordination also develops as baby’s curiosity guides her to open and look at the book. She learns to see an object and then point to it or to turn a page in order to see something new. She learns to focus her attention on something for quite awhile when she is “reading a story.” In order to capture her attention with books, carefully choose the books in baby’s first library. When selecting books for baby, think about choosing books from various categories for a range of developmental benefits. For example, cloth books are best for younger babies. ABC and counting books teach skills that are different from the lift-the-flap books. Here are some categories of baby books to include in her library. CLOTH BOOKS – These are great books for newborns and 1-3 month old babies because the thick fabric pages cannot be torn. Baby also may fall on them in a playpen without harm. HIGH CONTRAST BOOKS – These books for newborn babies and 1-3 month old babies use contrasting colors such as black and white to create images that baby’s eyes can focus on at this stage of development. Tana Hoban’s “White on Black” is a great example of this category. TOUCH-AND-FEEL BOOKS – Books for babies to stimulate the sense of touch have patches of textured fabric added on to the pages. Sometimes it could be white and soft like the fur of the bunny in “Pat The Bunny,” a book recommended for the 1 to 3 month old babies. ABC BOOKS – Learning the letters of the alphabet begins with reading charming ABC books filled with rhymes, color and imagination. Dr. Seuss’ ABC’s is a favorite of many. 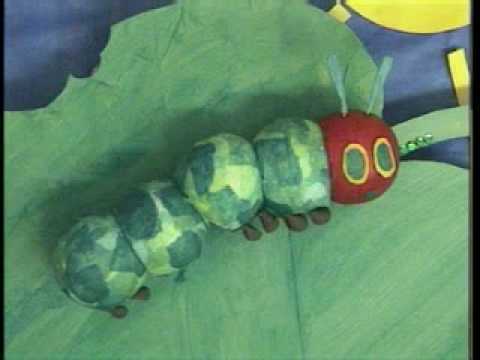 COUNTING BOOKS – Whether it is “5 Little Monkeys Jumping On a Bed” or “10 Little Lady Bugs”, the goal of the book is to teach baby how to count. These are great books for toddlers. BOOKS OF COLORS – Some of baby’s first words include colors. Books that focus on learning colors are a fun addition to the library, too. CLASSIC BOOKS – Baby books considered to be “classic” have been favorites for generations. When you hear a grandmother fondly remember “I read ‘Goodnight Moon’ to each of my children,” you know that she is talking about a classic book. They can be found in each of the above categories and are outstanding for the development of a baby. Click on the “Tools For Parents” table and see the “Best Books for Babies” which lists classic books for baby’s first library. Baby’s first library should contain a variety of books covering a range of topics such as animals, colors, letters of the alphabet, and counting numbers as well as a variety of activities such as touch-and-feel or lift-the-flap. We previously recommended “Pat the Bunny” as an example of a touch-and-feel book and now we suggest “Dear Zoo” as a classic lift-the-flap adventure. In the story a boy writes to the zoo and asks them to send him a pet. The zoo sends several animals, one at a time, that were not suitable to be the boy’s pet. Each animal hides in a box, under the bed, or in a closet for baby to discover when she lifts the flap which conceals the animal. The action of lifting the flap encourages some fine motor skill development or use of the pincer grasp. Once the animal is discovered the boy quickly sends him back to the zoo. Babies love the activity and discovery with the lift-the-flap books. When parents read “Dear Zoo” over and over again spanning the course of several months the story predictable and promotes speech development for baby as he learns to say the names of the hidden animals or learns to say “send him back.” In our review of Dr. Seuss baby books we discussed the importance of repetition for speech development of a baby. In the above video from BrightFishSam’s youtube channel, the father has read this book many times to his son who enjoys blurting out the names of the animals. It is evident how much Sam loves discovering the animals and then sending them right back to the zoo. I guarantee he won’t be sending this book back to the library anytime soon. Dear Zoo: by Rod Campbell. (New York: Simon & Schuster, 1982).